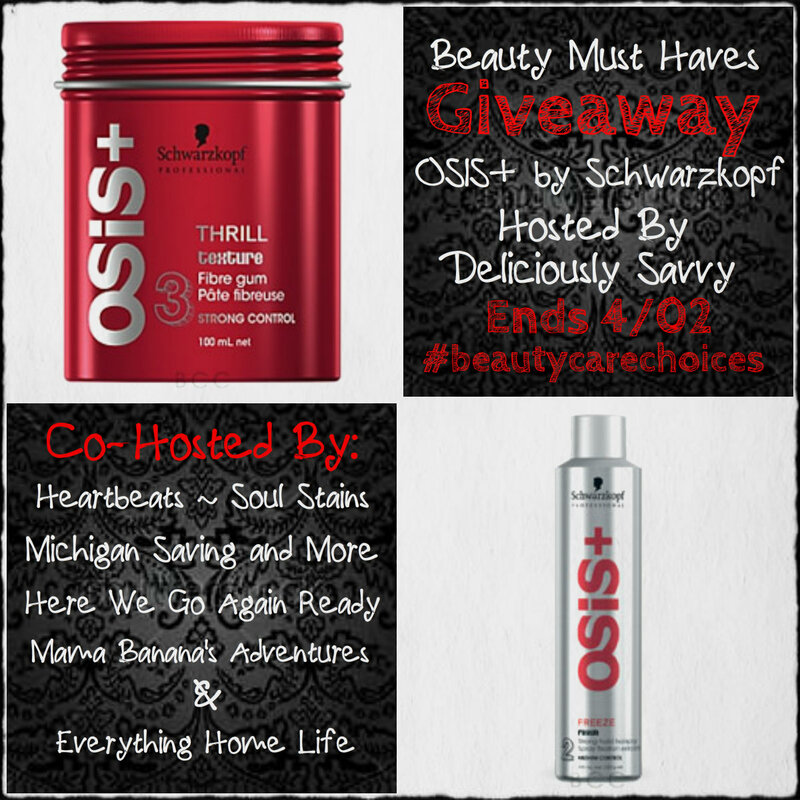 Deliciously Savvy Is Hosting A Fabulous Beauty Must Haves Giveaway! Enter Today and Good Luck! What a great giveaway! Thank you so much for including my readers here at Tales From A Southern Mom! These are great prizes! PLUS a Big Thank You To All Other Blogs Helping To Promote! Thank You! A BIG Thank You to Beauty Care Choices for Sponsoring This Savvy Giveaway! This giveaway will end at 12:00 AM (EST) on 4/02/15! Deliciously Savvy did not receive any form of compensation for this giveaway. Once winner is selected via the Rafflecopter process, the product will be shipped. Winner has 48 hours to respond or another winner will be chosen. No other blog associated with this giveaway is responsible for the product shipment. Beauty Care Choices will be providing the prize to the winner. Thank You for stopping by! Any Questions or Concerns email me at mcushing7 (at) hotmail (dot) com. I would love to have the Exfoliant Foot Peel by Baby Foot! It sounds like such a fun product hah! I would love to try the Gold Dust Shimmer Spray. Love to have the chi iron!! I’d love to have the Chi cordless flat iron! I would also love Wella Brilliance shampoo and conditioner. I love to try the OMG! by Instantly Ageless. I would love the CHI escape professional cordless styling iron!! i would love to try the BlondMe Color Enhancing Blonde Shampoo – Rich Caramel by Schwarzkopf. I’d like to have the Escape Professional Cordless Styling Iron by CHI. I would like to try ageless. The fine shampoo is great too. I would love to have the Escape Professional Cordless Styling Iron by CHI with the Farouk Royal Treatment Style Illumination. I really love the PRO Nano Titanium Triple Barrel Waver by BaByliss! I’d love to have the BlondMe color enhancing shampoo! Anything that will help keep my color toned between colorings! I totally want the CHI flat iron! I’ve been wanting that for some time now. I have to save some $ and get my hands on that.